Come on girls. Give your partner a time out. Haha! I truly understand the feeling and complications when doing shopping. 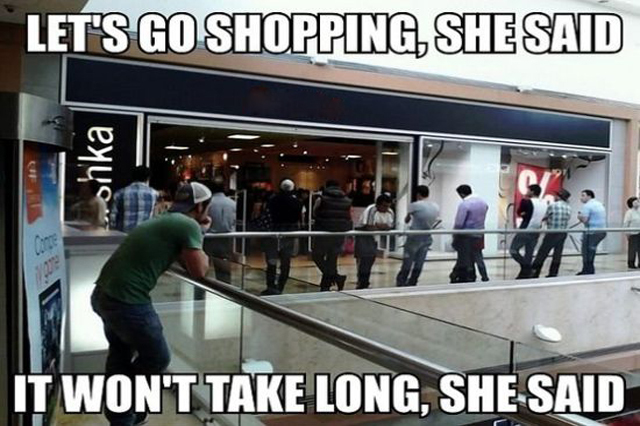 Especially in shopping mall. So many clothes, so many bags, different colrs, different sizes, different designs and such. Well, 1 day may not be enough for us right? How about online shopping? But Google ain't helping. I know that feeling. When I search for something, most of them are from international websites. Frustrated. I know. So is there any sites that has all shops that carries all you can ever ask for in just one place? Today, I 'm here to help. You know I love online shopping. And giving you tips on where to shop is my favorite thing to do. Your wallet hates me. I know. Haha! So let me introduce you to a site where it will make you shopping easier and fun. It's Plazaar! Plazaar makes you to find your items easily. Plazaar is a site provide place where different seller can sell their products and you can browse to them to each categories easily. They have thousand of products from dozens of stores in just one place. In just one site, you can make your order from different sites in just one sites and made your payment together easily. Of course! No registration fee! Its free for everyone! You can register as a user or a merchant! That means you can also sell online. This is how you can easily access the browsing part. Different types of dress and fashion items listed for you to easily find the product you need. Perhaps you need to go to a party, the them is maxi dress. Then just click on the maxi dress category and start browsing! Here and example. I found something nice up there. Now click. You will get all of the details such as the seller, price and rating. Click on the seller to see more on what he/she offers. Love it? Add to cart! From here you can view your added items before proceeding. The shipping fee and total amount. Now you dont have to go and register to hundred of account just for a certain items. At Plazaar, you can have it all! I hope you find this post helpful! Especially for you don't have time to spend hours just to find that one dress from different shops to another. Here you can easily access to everything. Right now I'm loving 11Street.my so much as I can get lots of Korean beauty products. This worth to check out though. Thanks, Sab!